The Walls of Jerusalem area is a wonderful spot for a short escape into some Tasmania ’s beautiful wilderness. The Park is in the Tasmanian Wilderness World Heritage Area and is easily accessible from Launceston or Devonport taking around 90 minutes from the airport to the starting point of the walk. Our group of six had taken an early flight from Melbourne and after some provisioning of fresh supplies and gas bottles we were off with our trusty tour guide, Simon. The plan was to walk into the platformed camping area at Wild Dog Creek for the first night, and then continue on, camping around Dixon Kingdom Hut for two nights. We would then retrace our steps, returning to the car park for our pick up and return to Launceston on Day 5. The walking from the car park to Wild Dog creek commences with a serious “up”. We were completely overloaded with unnecessary luxuries such as wine and nibbles for each night, as we were effectively base camping in the area. We knew while our packs would be heavy but the rewards of a nice red and cheese each evening would be worth the initial pain. The party spread out as we grunted up the 400m over 2 km’s, regrouping at Trappers Hut for a quick snack and break. Everyone was coping well (well, some better than others) and we knew there were only about 200m over 1km more elevation to conquer. This section of the walk is delightful as the path begins to enter the plateau and we were rewarded with the first of many of the small lakes that make this Park so spectacular. The views across to the Cradle Mountain Lake St Clair National Park and some of the landmark mountains of the Overland Track were also excellent. The packs were beginning to take a toll as the temperature and mid afternoon sun belted down upon us so we had several breaks, enjoying the view and starting to relax into the area. Helen had “strolled” ahead and arrived at Wild Dog Creek well before the rest of us. This area has platforms for at least 20 tents and is a great spot to camp just outside Herod’s Gate, the entry to the Walls of Jerusalem. There is a composting toilet and water taps. A school group and 3 other tents were already set up but Helen was able to find a great spot for us to camp. That evening we had a long chat with two terrific local fellows. It was two days before the Federal election and politics, environment and social justice were all hotly discussed until the chilly evening sent us to out tents. Many thanks to Paul and Grant, you two blokes gave us renewed hope in humanity! It was a very cool night and we awoke to a covering of frost on our tents. A short day was planned so a leisurely breakfast and pack up was in order and we departed for Dixon Kingdom about 10:30, covering the short climb to Herods Gate in quick time. The reward was a spectacular view back to Cradle Mountain and Barn Bluff. When we were here in July the views were hampered by low cloud and haze so this was a special treat. We sighted our first tiger snake near Lake Soloman and enjoyed watching it explore it’s habitat. It was one of about 10 different snakes we saw over the 4 days and this reassured us that our gaiters were a “good thing” to wear! The walk around Lake Soloman up to Damascus Gate was delightful. We had fantastic weather and the skies were blue with little wind in the valley. Upon reaching Damascus Gate the view back to Cradle Mountain and Barn Bluff was even better and we stopped to enjoy it and regain our breath. The section from here to Dixon Kingdom is quite easy with lots of duck boarding and formed stone tracks. Within 20 minutes we were at the Hut and setting up our tents. It is suggested that you don’t camp around the Hut here so it does not “ruin the vista for other campers” so we camped well away on slightly slopey, rather than flat sites. NB, there are NO toilet here and you must follow the rules regarding human waste disposal so that you or others camping in the area don’t get gastro. This link from the Parks and Wildlife Service in Tasmania – How not to get ‘Gastro’ – the art of bush toiletry has the correct information. Having a quiet drink at our campsite at Dixon Kingdom. We were able to identify Mt Ossa, still flecked with some snow and many of the other landmark mountains of the area. Highly recommended on a clear day, especially if you have completed the Overland Track and want to see the whole route from one spot, or just love the thought of seeing the 100’s of lakes that surround this peak. The rest of the trip was made up with relaxing, trying to catch fish in Lake Ball (unsuccessfully) and exploring the general area. We allowed three and a half hours to walk from Dixon Kingdom’s Hut back to the car park for our ride back to Launceston. This was generous but with our failing knees that lack of time pressure was appreciated on the last 2-3 km of “down”. Below is Helen at the Pool of Bethesda. “Our” quoll, it would visit each evening at sunset to look for any food scraps we had dropped. Great fun to watch, like a cat on speed! In summary, this is a great trip that can be done in one very long day (as several groups we met can testify to) but is well worth the time to explore the area at your leisure and just relax in this pristine wilderness over a few days. 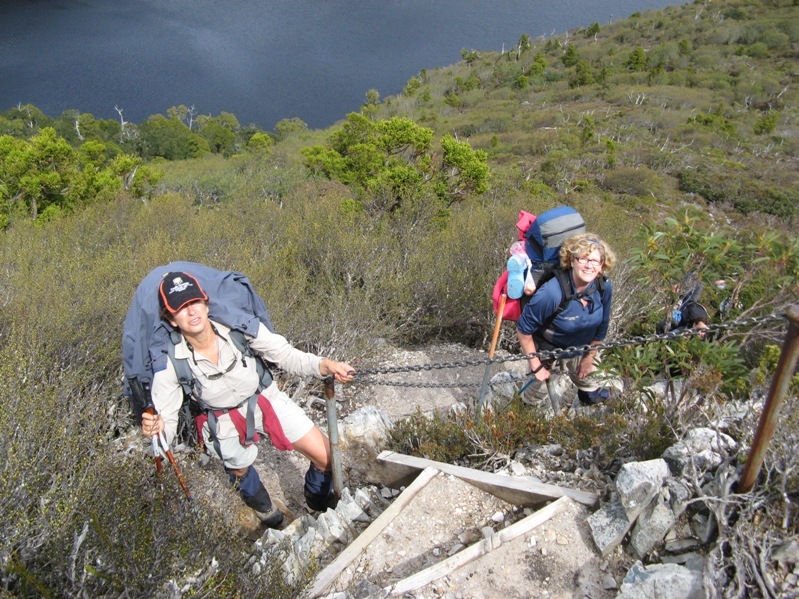 It is certainly not isolated or difficult, so would be a great first trip, or one where you might want to introduce older children to bushwalking. Just remember, the weather can change at any time so be prepared for rain or snow or any other form of weather this area can throw at you. Hi Frank and Sue,The pictures look great from in at the walls.It was good to see that you had a great in such a beautifull part of the world.Look forward to seeing you again soon. Great blog, very imformative! 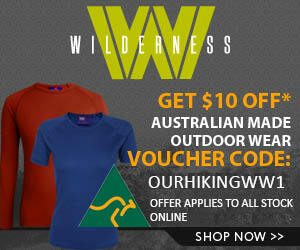 Just researching doing our first hike in Tasmania – so your detailed post and pictures is a great resource.